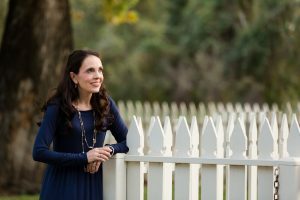 Ruth Adams is the author of the book “Legacy – Reflections of a Homeschooled, Homeschooling Mama” and is the host of the Legacy Homeschool Reflections Podcast. She was home educated herself in the 1980’s and the 1990’s and is now homeschooling her own seven children, seeking to pass on the legacy of faith her parents imp arted to her. She has an almost forty-year perspective on the homeschooling movement and encourages parents to reach the hearts of their children with the gospel of Jesus Christ. She offers warnings against falling into ditches and exhorts parents to take a Biblically balanced approach in raising their children for the glory of God. Ruth understands the challenges and joys of being a homeschooling mama and loves mentoring other mothers who desire to disciple the hearts of their children for Christ.